Bishop Lynch High School is a co-educational Catholic high school that is a member of the Diocese of Dallas and a member of the Texas Association of Parochial and Private Schools (TAPPS). Bishop Lynch is a “Safe Sports School” as recognized by the National Athletic Trainers’ Association. 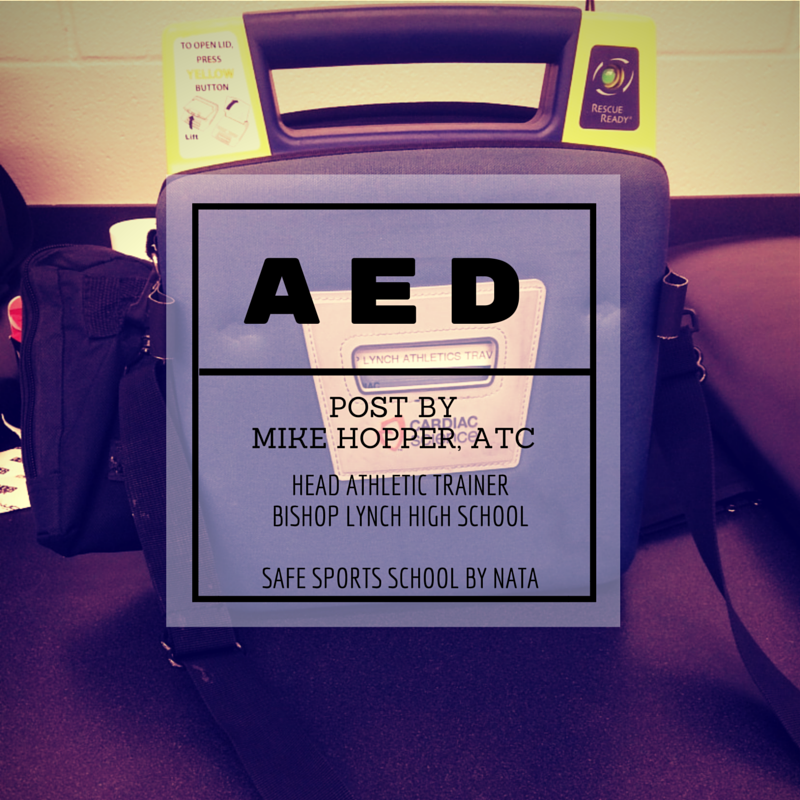 The availability of AEDs on our campus is just one example of Bishop Lynch providing excellence in Athletic Healthcare. Recently, the question was asked on Twitter by the Korey Stringer Institute “Are you prepared for sudden cardiac arrest? Where is the closest AED from where you are right now?” I took a quick picture on my phone of the unit that is permanently posted on the wall just inside of my Athletic Training Room. That is only one unit that currently sits within those 4 walls. Regularly, there are 3 units that are maintained within that facility, however currently we have 5 units there. Two of these units will be deployed elsewhere on campus in the coming months. KSI was understandably amazed and curious how we had 5 AEDs on our campus. But, we actually have 11 of these units posted throughout our 22-acre campus. So, then the question was: How did Bishop Lynch manage to have that many units on our campus and how can other schools learn from us? I don’t know the full story, but I will say that we are dedicated to having these units within reach and we are dedicated to having a plan to attack sudden cardiac arrest with immediate response and treatment. When I came to BL in August 2014, we had 7 units on campus. Six of these were posted within athletic facilities. The seventh unit has been moved more than once this school year. BL is in midst of major renovations and that unit has floated multiple times before finding its current place. That location has become its new permanent home as this winter we acquired additional units for elsewhere in the building. There are currently 9 AEDs deployed on our campus. We have units in our end-zone weight room building that serves the weight room and wrestling room in that building plus the baseball field a short distance away. Conceivably this unit also covers the track and football stadium. The fieldhouse in the corner of the same endzone hosts a unit on the wall providing coverage for the football stadium and track. Outside of the “competition gym” a unit is posted in plain sight that provides coverage for the main gym, the dance studio across the hall, and the weight room upstairs in that same building. Upstairs and a short distance away we have a brand new unit that was recently installed near the business office and two classrooms. Our “Legacy Gym” sits just feet away from the new “competition gym” and hosts a unit of its own posted on the wall outside our satellite Athletic Training Room. As we begin to enter the academic end of campus, we have a unit (previously mentioned) that sits outside of the theater. This is also located close to the main office and the cafeteria. Another brand new unit was deployed recently and is now posted on the wall right outside of the nurse’s office. This gives us 7 units posted in permanent locations. Two more units are located inside of the Fieldhouse Athletic Training Room and these units are portable. This allows the Athletic Training Staff to transport the AEDs to the sideline or dugout of games. Our softball team currently plays off-campus and we are able to take a unit to their games without jeopardizing the safety (and liability) of our campus. We also take an AED with us whenever we travel with our football teams. With approximately 150 people that make up our travel party for a varsity football game, we believe that carrying this unit is necessary at all times. I currently have two more units sitting in my office that are brand new and still inside of their boxes along with their cabinets. These units are awaiting the completion of new construction. One unit will be installed in the coming weeks as we prepare to open up a new building with 12 classrooms and the last unit will be installed before the 2015-2016 school year when that phase of renovations is completed. I know that in our athletic facilities we are less than a minute from an AED at all times. There is not a single place that somebody can’t have an AED in hand instantly. The furthest point from an athletic standpoint from an AED is centerfield on the baseball field to the Haggar Building AED in the endzone. That is approximately 500 feet away. But on a game-day, there is a unit in the home dugout cutting that distance down by about 100-150 feet. Academically, we are currently a little bit further away than that in a couple of locations, however that will change in a couple of weeks. Our new unit will cut down that distance significantly. My biggest concern is in our parking lots, which are at the far ends of our campus. Just the other day I brought up this concern to our security staff and we will be addressing this. Great, so you have 11 AEDs on campus? But do you have staff to use them? This is a great question. 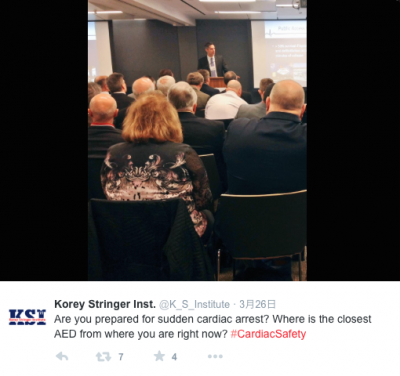 While the AEDs are simple enough to be used by just about anybody, it is still critical that trained personnel respond to a sudden cardiac event. Accordingly, and as required by TAPPS, our entire coaching staff is required to maintain current CPR/AED certification. Additionally, we have a school nurse on campus each day along with one full-time Certified Athletic Trainer and one part-time Certified Athletic Trainer. Our security staff also is required to maintain CPR/AED certification. So in short, we have staff onsite at all times trained to respond to a cardiac event. 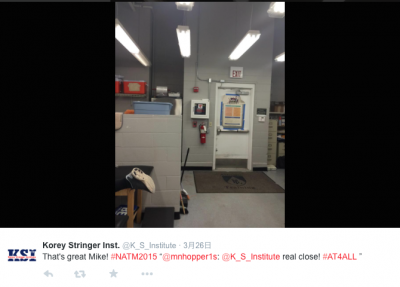 How do you maintain 11 AEDs? Who is in charge of that and who pays for that? This is another great question. And one that we recently figured out. We have three units that are 4 years old, four units that are 3 years old and four units that are brand new. In the past, the replacement pads were simply purchased out of an account and nobody really thought about it too much. But as you can imagine, with 11 units, this is a costly venture. And so the school nurse and I have asked for a specific answer moving forward. We did not want this to be a year-by-year decision. Basically, each year we will spend the equivalent to what it would cost to purchase a new unit every year. But it’s a small price to pay and our school administration agrees with this. For this reason, the nurse’s budget will grow each year to accommodate this specific expense. We share joint responsibility for proposing those needs each year and I have taken on the responsibility of maintaining the units. This includes walking past them throughout the week along with testing them once a month. I have made up a spreadsheet with our entire inventory that includes expiration dates and also have a checklist in each case that I check off each month. 11 AEDs, a full staff of trained personnel, emergency action plans for athletics and campus-wide, combined with EMS being located only minutes away and the major trauma center less than 15 minutes away, we believe that Bishop Lynch is well-prepared for a sudden cardiac event on our campus. While we hope to “waste” a lot of money over time, we believe it’s a small price to pay should somebody on our campus collapse. Every Athlete Deserves an Athletic Trainer. Every Friar Athlete Has One.